Our easy-to-use flipbook system comes with a whole host of interactive, lead generating features. Take full control of your flipbooks: You can password protect your flipbooks with username and password, limit access to your flipbooks to people in your workplace (IP-Whitelisting) and enable or disable share/print/download functions; for a fully customizable privacy solution. We offer advanced design customization, allowing you to customize the look and user-experience of your flipbooks. Add page flipping sounds, insert your logo, colour customize the flipbook viewer, change the flipbook viewer language and much more! Read more about customizing your flipbook’s design here. We have specially developed our flipbook editor to be as simple and user-friendly as possible without compromising on quality and access to features. Using our system requires you to have no knowledge of programming; and if you ever need help we have a dedicated team of customer service representatives ready to help, as well as a getting started guide to ease you through the process. Add images / GIFs directly into your flipbook to improve information comprehension and product visualization. You can also add YouTube & Vimeo videos to help tell a company story, illustrate product instructions, highlight your services or simply to greet your readers. Learn more about our video and image / GIF features here. Your flipbooks will have rock-solid SEO optimisation built-in to increase your views, indexing and overall popularity online. You can manage and customize page titles, keywords, descriptions and more to help your flipbooks be top performers and rank higher in Google searches. Learn more about SEO optimisation here. 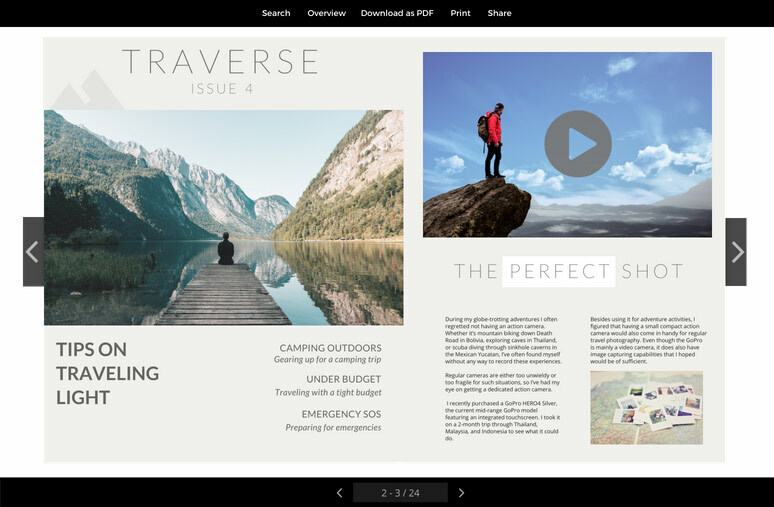 Insert links to content inside & outside of your flipbook to guide your readers and simplify the purchasing process for them with just a few clicks. With this feature, you can keep your publication text-light and highlight important information. Read more about adding hyperlinks here. 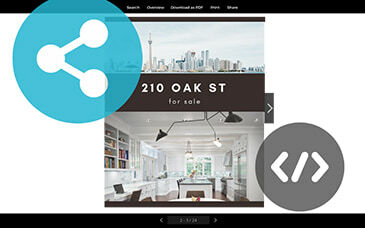 You can integrate your flipbook directly into your website, complete with the page-turning effect! You can also share your flipbook in your blog or email signature, or to your social media channels to reach more readers. Whichever way you choose, your flipbook can be instantly opened on any device with a pixel-perfect look every time! Connect your flipbook to your Google Analytics account or use Paperturn’s built-in flipbook statistics to gain insightful information on who your readers are, how they found your flipbook, the device they used, their country of origin & more! Learn more. Paperturn offers you the option of using your own domain name in your flipbook’s URL - enabling you to have complete focus on your own brand. Read more here. Available in more than 16 languages, the user-friendly viewer is specifically designed to satisfy your international audience’s linguistic needs. Make swift changes to your flipbooks by simply overwriting your existing publication. You can choose to maintain existing links, videos and SEO page title/text for convenience - an excellent solution for publications which change often. Paperturn was recently featured on the Discovery Channel - watch the video to learn more.